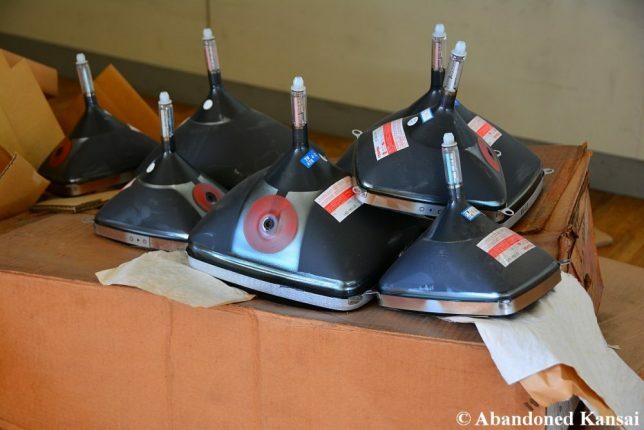 TV repair shops, once fixtures of our tuned-in society, have faded away as televisions became more reliable and the broadcast medium itself lost its relevance. 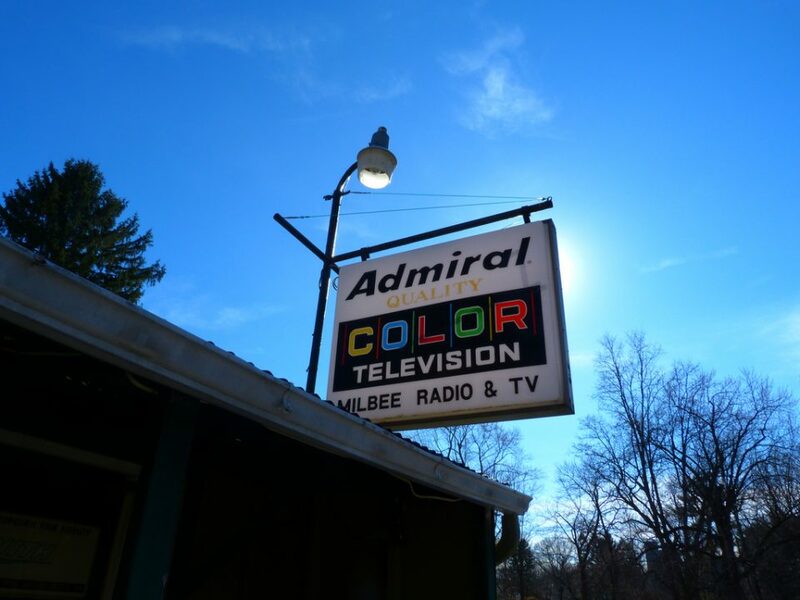 Take Milbee Radio & TV, a tiny TV repair shop supposedly operating out of Elizabethtown, PA. We say “supposedly” because neither Flickr user Katie Burkey (StarPhotographs) nor Wendyvee of RoadsideWonders have been able to find anyone actually working there – “I think this shop might be abandoned, but I never knew for sure,” stated Burkey in March of 2011. Aside from the minuscule size of the shop (and its queasy two-tone green paint job), the gloriously retro sign tells a story all on its own. 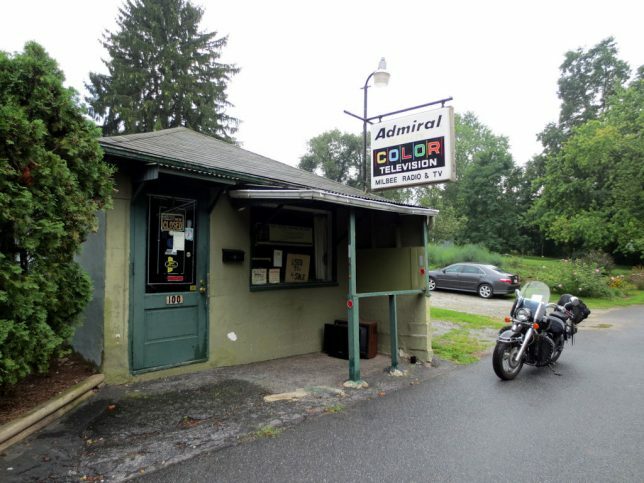 Does anyone remember brand names like Admiral, Zenith, Philco and Quasar? How long since the word “RADIO” on a sign attracted customers? 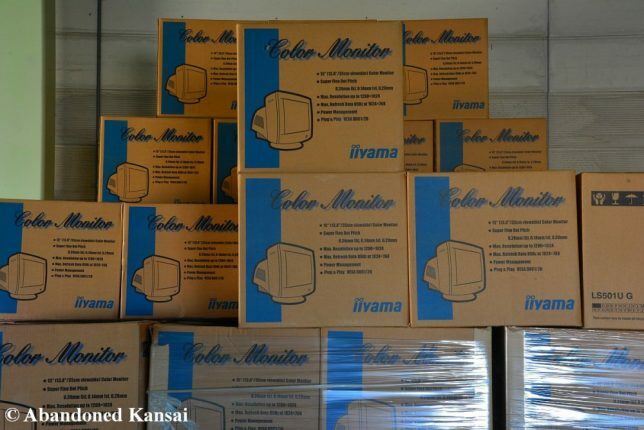 Last but not least, “COLOR” television was once a feature worthy of note. 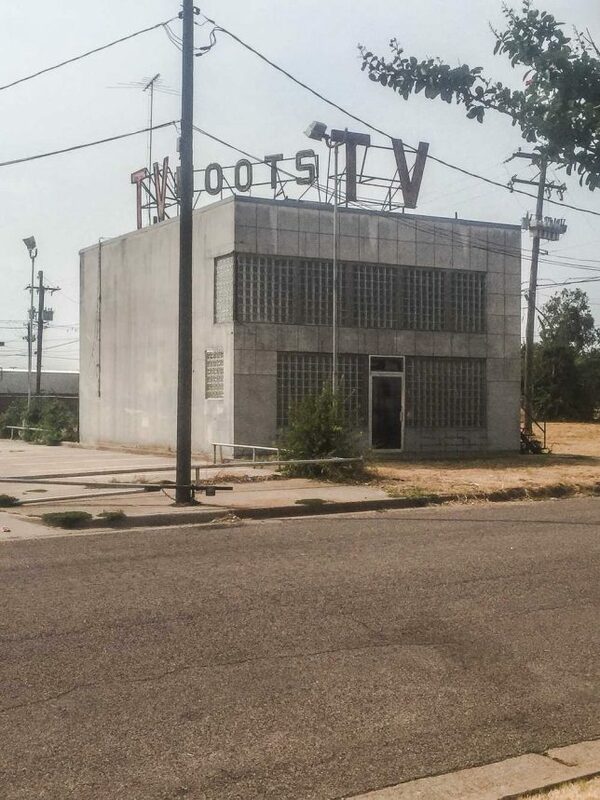 The latest entry in the Anti-Zombie Fortress sweepstakes is the former Hoots TV Service on Highway 80 West, Fort Worth, Texas. 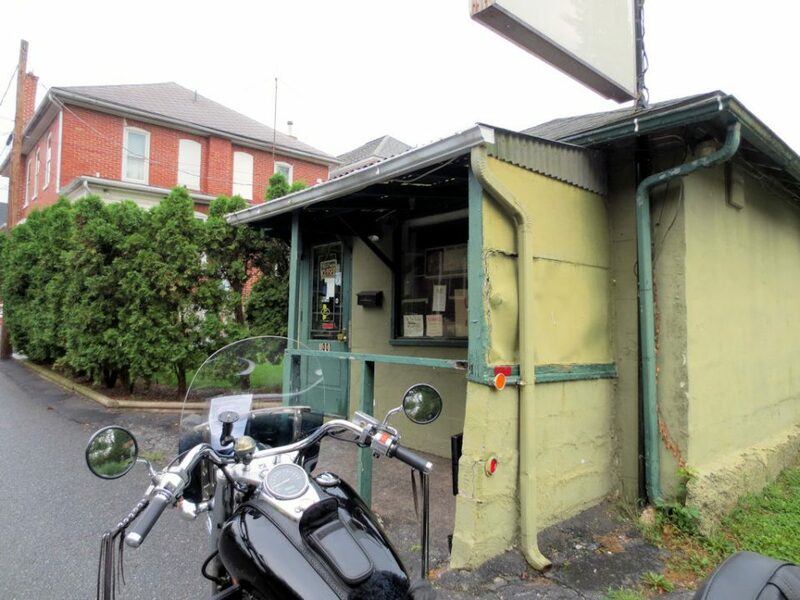 According to Joan Carroll, the glass block-enhanced blockhouse dates from 1964 and was the third (and final) location of Hoots TV. 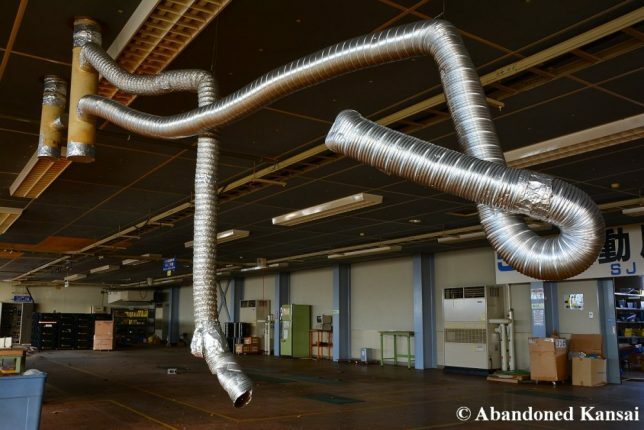 This Japanese TV and monitor repair, assembly and distribution center seems to have soldiered on until 2008, according to calendars found within by Florian and friends from the Abandoned Kansai urbex blog. 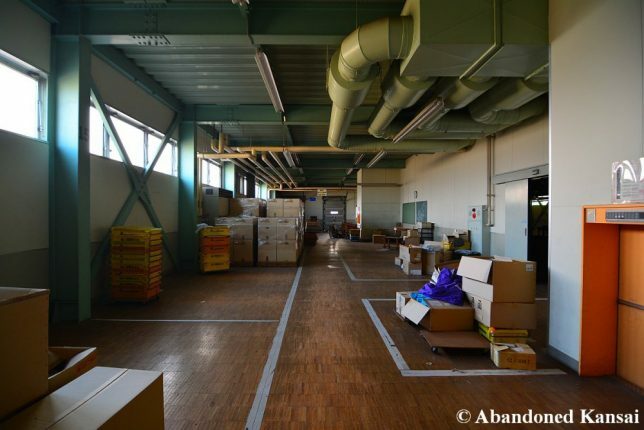 Like many Japanese abandonments, the business appears to have been closed in a hurry with much equipment and stock left in place and on shelves. Towards the end, the business serviced Sega arcade machines and monochrome computer monitors but couldn’t afford to retool when ponderous CRT screens gave way to flat-screen LCD and TFT-LCD displays. Odd that microwave ovens were once categorized as electronic devices instead of kitchen appliances but hey, those were the days! Dream Lovers T.V. Shop (why the periods between T and V?) 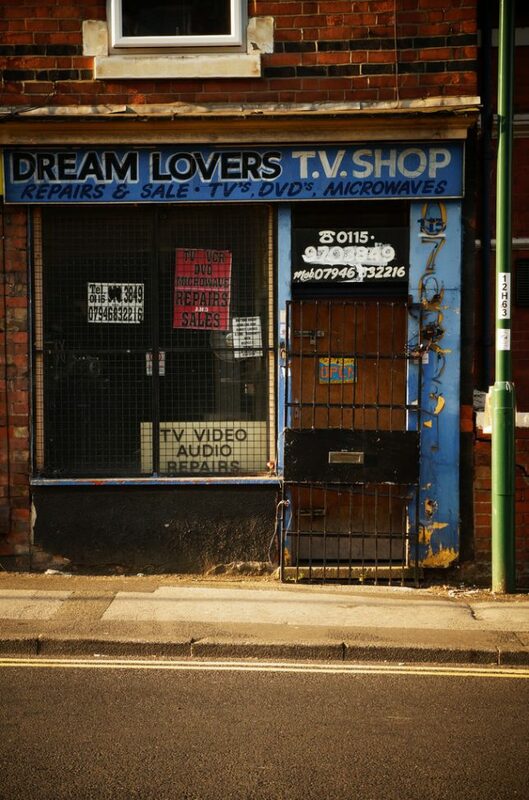 once sold and serviced televisions – and presumably microwaves – from this gritty shop in Nottingham, UK. Flickr user Rust Never Sleeps captured the shop’s well-aged storefront in late July of 2014. 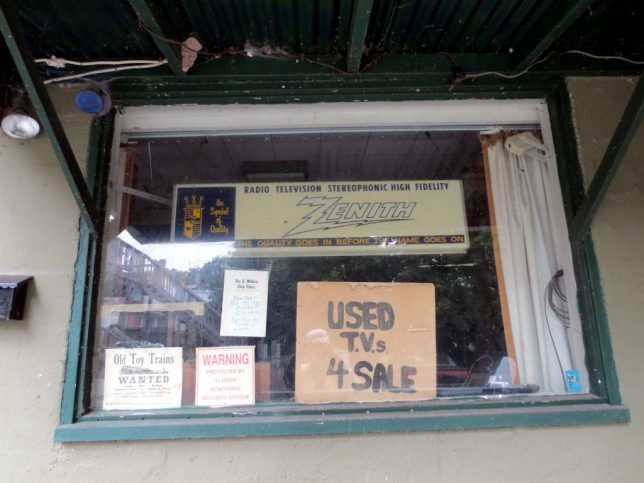 This ultra-rustic TV Sales & Service shop languishes unlamented in the cold heart of East Oakland’s Dimond (pronounced “diamond”) district. 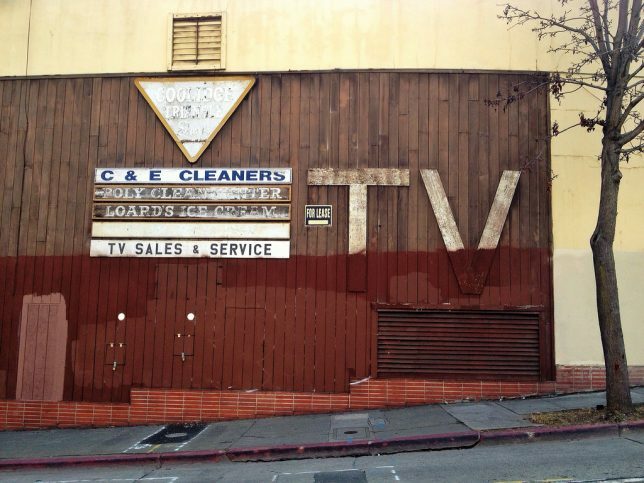 Flickr user Billy (misterbigidea) snapped the shop’s weary weathered facade in late January of 2014.